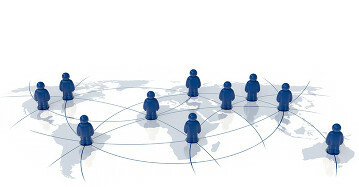 The entire TEXTKING team and our worldwide network of qualified translators work to deliver the best in service and convincing translation solutions every day. Transparency is key in this process. As a translation agency we consistently endeavor to deliver the highest standards in what we do by carrying out continuous quality control procedures on our system and processes. Specialist translation: A translator who is qualified in your specialist subject area is stylistically confident and pays attention to peculiarities in the target language. Once the document has been translated it is checked for formatting errors. Specialist translation and proofreading: Once your document has been professionally translated it is delivered to a second translator who is also qualified in your subject area. Your text will be proofread thoroughly to check it flows and to eliminate spelling and grammar errors. Language-specific peculiarities and formatting errors will also be removed. Proofreading: You have already received a translation of your document, however, you are not sure that it meets your requirements. Or, alternatively you have used machine translation tools and would like your texts to be proofread – a native speaker with knowledge of your subject area can improve the quality of your documents. Even if you are pressed for time there is no need to worry. Thanks to our optimized process chain we are able to deliver you high quality results in a very short time. 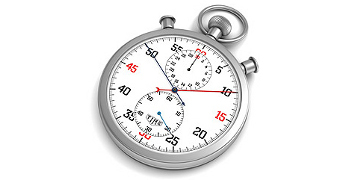 However, we always ensure that the quality of translations is not compromised due to time pressure. We can translate up to 700 words in 24 hours. If you need a translation quicker than this, please contact us. 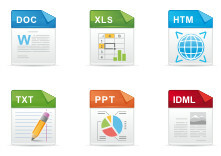 Our system supports all conventional file formats. If you have a document with an unusual format or a diagram then no problem – just contact us!